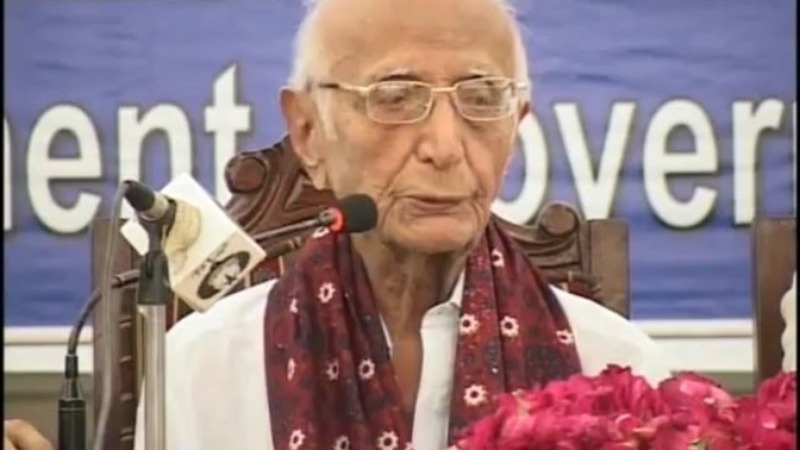 HYDERABAD: Noted writer, Ibrahim Joyo, passed away on Thursday at the age of 102. Pakistan Peoples Party PPP Chairperson Bilawal Bhutto-Zardari said that such personalities are born once in centuries. The author will be buried in his native graveyard in Jamshoro. Joyo was born on born August 13, in the village that is now in Jamshoro, Sindh, Pakistan. He was considered the living legend of Sindhi literature. He had written, translated and edited hundreds of books and brochures. He has been affiliated with the Theosophical Society as well, during his lifetime. On Wednesday, August 13, 2015, Joyo entered centennial of his life. Muhammad Ibrahim Joyo was appointed as a teacher in Sindh Madrasatul Islam in 1941. He wrote a book entitled Save Sindh, Save the Continent which angered the administrative authorities, causing a conflict with Pir Ilahi Bux who ordered Joyo’s removal from his job. However, he got a new job at Thatta Municipal High School. Later on, he was transferred to Hyderabad at a training college. He was appointed as secretary of Sindhi Adabi Board in 1951. In 1961, Joyo retired from his job. He was offered the same job a number of times. He was secretary of Sindhi Adabi Board till 1973. He was also involved with Sindh Textbook Board and served as chairman of the Sindhi Adabi Board. Joyo has translated and written a number of books. He had many translations of famous European books to his credit. In 2013, he received a literary award from the Pakistan Academy of Letters and also honorary degrees from renowned universities. He had written many storybooks and textbooks for school children, prefaces, debates and a lot of essays. Joyo read diverse writers such as Plutarch, Rousseau, Chekhov and Brecht. Muhammad Ibrahim Joyo passed away at the age of 102 years at his elders’ son residence in Hyderabad on 9th November 2017.